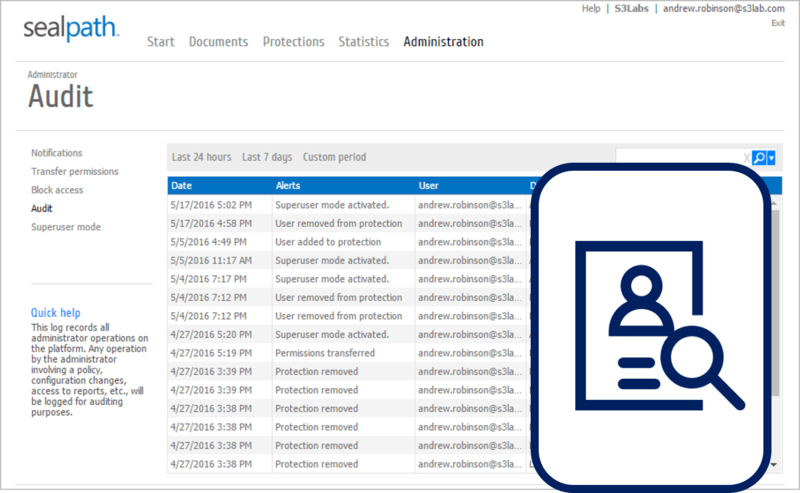 Both users and administrators can see who accesses their protected documents. Users can see in real time if other users for whom they have protected the documents have opened them, if anyone has removed the protection because they have sufficient rights or if anyone is attempting to access the protected documentation without permission. The administrator can see the activity on the organisation’s protected documents on the website dashboard. Who has protected documents, who is accessing the documents, alerts concerning documentation, etc. Monitoring can be performed in real time, seeing which documents a certain user has accessed or who has accessed a specific document. 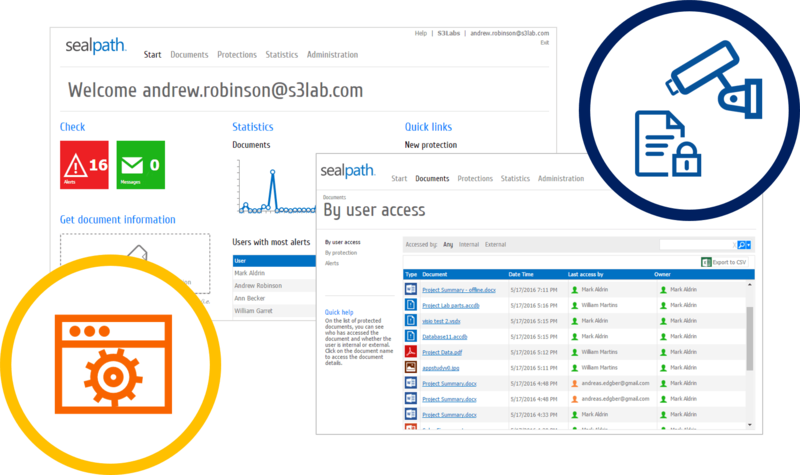 SealPath provides risk control reports on the documentation including the Top 10 blocked access attempts, which documents they attempted to access plus those accessed without permission, most active internal and external users, most and least used policies, etc. This will give you and instant overview of the situation of the company’s protected documentation. All activities performed by the administrator are recorded in the administrator’s audit log. If you amend a protection policy, remove protection from a document, cancel and delete a user’s access to documents, block documents, etc., everything is recorded and the administrator who performed the action is identified.